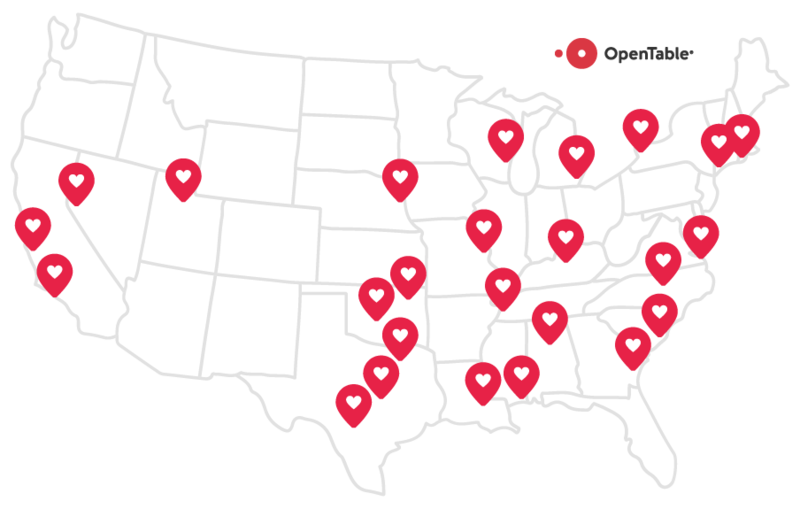 As we prepare to celebrate love and romance on Valentine’s Day, we’re pleased to reveal the rankings of the 25 Most Romantic Cities in America 2018. While diners across the nation are looking for that special meal on Valentine’s Day, certain cities prove that they are a step above in providing dining experiences that exude romance from the moment you step inside the restaurant. To identify the ranking of cities where romantic dining is inherently part of the culture, the OpenTable Most Romantic Cities Index was calculated using three variables: the percentage of restaurants rated “romantic” according to OpenTable diner reviews; the percentage of tables seated for two; and the percentage of people who dined out for Valentine’s Day in 2017. The following cities, listed in order, comprise the 25 Most Romantic Cities in America 2018. For diners still searching for a terrific table for Valentine’s Day, we recently released the Top 100 Most Romantic Restaurants in America for 2018. And, be sure to enter our #ValenDinesDay giveaway for a chance to win Valentine’s Day dinner for two. Biloxi is number one? Things must have changed radically since the 70s! Mariano’s Restaraunt in Doral is excellent! Food service and atmosphere all great! The best server is Mauricio by far, & his service is anazing! Wmy husband and i started with the goat cheese croquettes and the porkbelly, both were unbelievable and highly recommend. My husband had aged bone in ribeye-OUTSTANDING and i had the Maryland chicken with onion plantain & cream with corn sauce, can i say”to die for”, then we finished with Nutella crepe….need i say more…. we will be back very soon!! Birmingham, AL has a lot of great restaurants. Oceans is our favorite place for seafood and Perry’s is our go to place for steak or pork chop. They both make a celebrating a special occasion extra special.